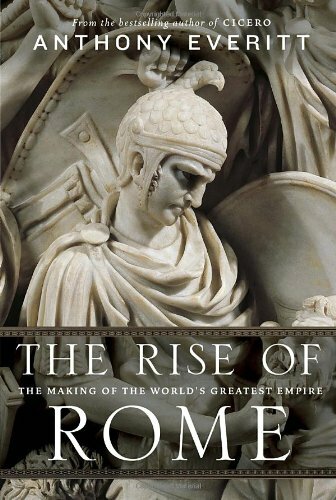 [PDF] The Rise of Rome: The Making of the World's Greatest Empire | Free eBooks Download - EBOOKEE! Description: From Anthony Everitt, the bestselling author of acclaimed biographies of Cicero, Augustus, and Hadrian, comes a riveting, magisterial account of Rome and its remarkable ascent from an obscure agrarian backwater to the greatest empire the world has ever known. Emerging as a market town from a cluster of hill villages in the eighth and seventh centuries B.C., Rome grew to become the ancient worldâ€™s preeminent power. Everitt fashions the story of Romeâ€™s rise to glory into an erudite page-turner filled with lasting lessons for our time. He chronicles the clash between patricians and plebeians that defined the politics of the Republic. He shows how Romeâ€™s shrewd strategy of offering citizenship to her defeated subjects was instrumental in expanding the reach of her burgeoning empire. And he outlines the corrosion of constitutional norms that accompanied Romeâ€™s imperial expansion, as old habits of political compromise gave way, leading to violence and civil war. In the end, unimaginable wealth and power corrupted the traditional virtues of the Republic, and Rome was left triumphant everywhere except within its own borders. Everitt paints indelible portraits of the great Romansâ€”and non-Romansâ€”who left their mark on the world out of which the mighty empire grew: Cincinnatus, Romeâ€™s George Washington, the very model of the patrician warrior/aristocrat the brilliant general Scipio Africanus, who turned back a challenge from the Carthaginian legend Hannibal and Alexander the Great, the invincible Macedonian conqueror who became a role model for generations of would-be Roman rulers. Here also are the intellectual and philosophical leaders whose observations on the art of government and â€œthe good lifeâ€ have inspired every Western power from antiquity to the present: Cato the Elder, the famously incorruptible statesman who spoke out against the decadence of his times, and Cicero, the consummate orator whose championing of republican institutions put him on a collision course with Julius Caesar and whose writings on justice and liberty continue to inform our political discourse today. No comments for "[PDF] The Rise of Rome: The Making of the World's Greatest Empire".